Hunger is an all but hidden epidemic in Placer Food Bank’s communities. Nearly 71,000 individuals in El Dorado, Nevada, and Placer Counties do not know where there next meal will come from. More often than not, the hungry are hard-working adults, children and seniors who simply cannot make ends meet. Many are forced to choose between paying for rent, medicine, or transportation and buying food; missing daily meals or going without food for days. We understand that nourishment is a basic human need that must be met before one can rise above their circumstance. Placer Food Bank supplies our local hunger-relief partners with the food necessary to bring hope and nourishment to those in need, so that they can focus on what matters most: raising their children, supporting their families, and giving back to their community. 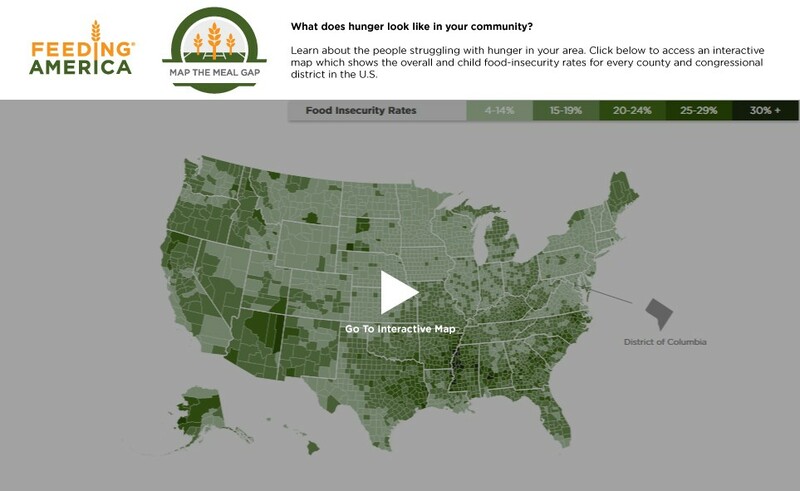 Learn more about what hunger looks like in our community and abroad by visiting the Map the Meal Gap Interactive Map provided by Feeding America below. This map contains data for overall and child food-insecurity rates for every county and congressional district in the United States. Placer Food Bank is a non-profit 501(c)(3) organization.